The Waterloo barracks, one of the main buildings of the inner court of the Tower of London. 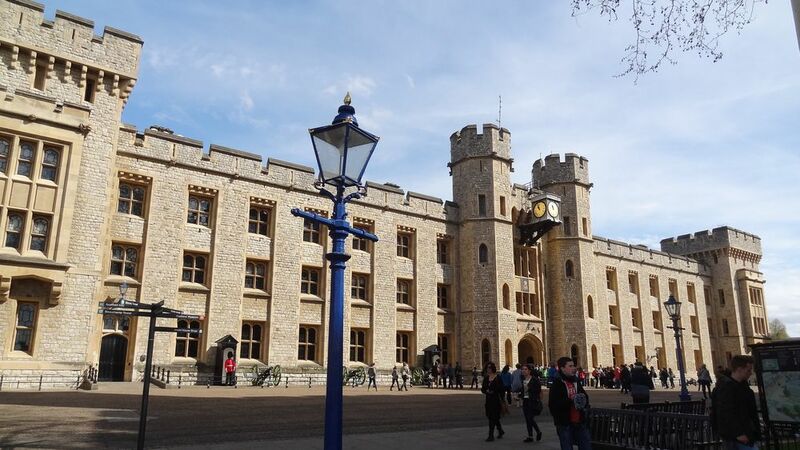 It is commonly called "Waterloo block" and has the particularity of housing the famous jewels of the British crown that contain splendid ornamental pieces. The building was built in 1845, originally it was a barracks for 826 soldiers. 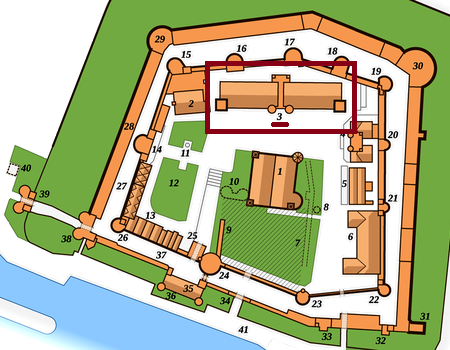 It is the largest building of the fortress, whether it is today or throughout its history, and was built at the same time as the officers 'quarters, which now became the fusilliers' headquarters. Nowadays it is mainly used as an office for administration, so they are administrative buildings. 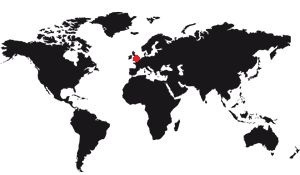 On the international level it is known to contain the treasure chamber, that is to say the room where the jewels of the British Crown are located. It's quite recent since they were put there since 1967. Previously they were in one of the towers, Martin Tower. The Waterloo barracks were decided after a great fire destroyed part of the interior fittings of the fortress 1841. Since the end of the eighteenth century the fortress had received more men to reinforce the military side of the fortress at the expense of the part a royal residence, whose dwelling places had gradually suffered the ravages of time. In 1840, therefore, there was a clear lack of space for the soldiers and their equipment. 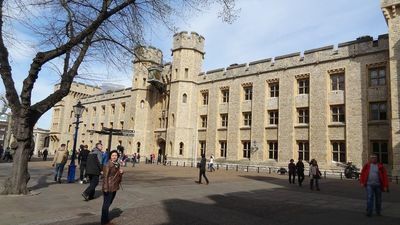 It was then that Tower of London chief Arthur Wellesley, the first Duke of Wellington, decided to take advantage of the destruction by fire of the old depots to build modern and especially larger buildings. Wellesley is best known as the Duke of Wellington, the winner of the Battle of Waterloo. This new building espouses a neo-medieval style probably designed by Major Alexander Lewis of the Royal Armory Engineering Department. Wellington laid the first stone of this new construction on 14 June 1845. Once the building was completed he had a statue of the commander facing the barracks erected. Initially planned for 826 soldiers, the barracks housed soon after its completion more than 1,000 soldiers. The jewel room, in its present form, dates from 1992-1993. It was designed in partnership with Siddell Gibson to mark the Diamond Jubilee of Queen Elizabeth II. 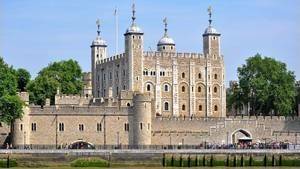 These rooms are very regularly refurbished, it must be said that they are among the most visited of the Tower of London.